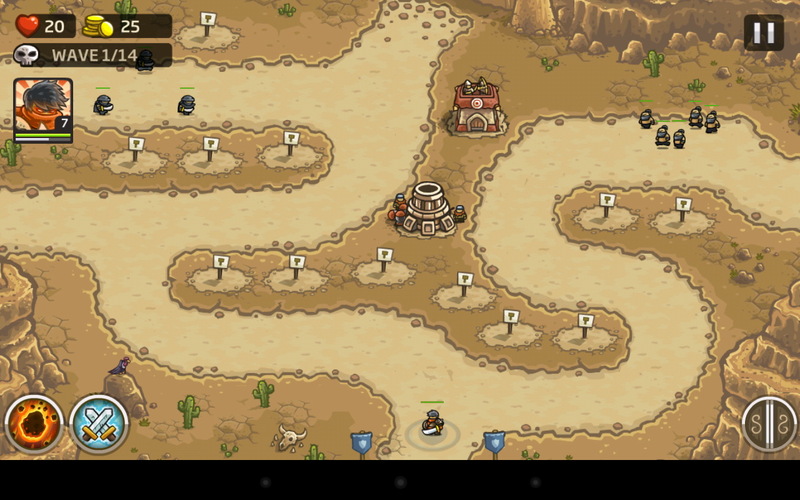 When it comes to the tower defense genre I think it is an almost established fact that the original Kingdom Rush from Ironhide Studios is the creme of the crop. 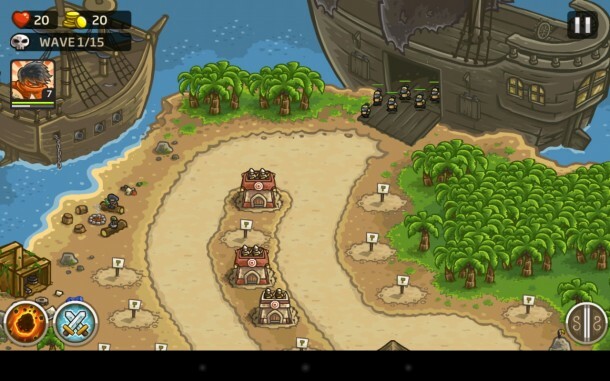 What started out as a flash browser game stormed mobile devices with its cartoon looks and interesting ideas on a popular genre and because of all that it dominated top ten lists since its mobile release. 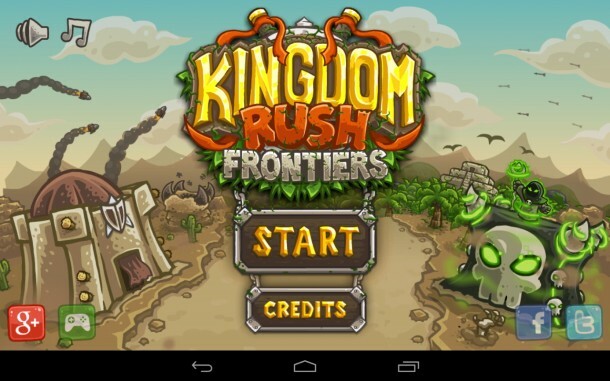 As usual with success a sequel was planned and released called Kingdom Rush Frontiers. Apple users got the game much sooner than anyone else but after months of agonizing waiting Kingdom Rush Frontiers, the Kingdom Rush sequel, is finally out on Android and it is glorious. 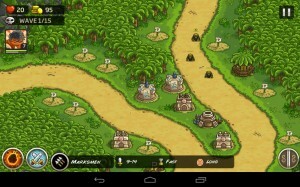 Gameplay in Kingdom Rush Frontiers plays pretty much exactly like the original which is to be expected. 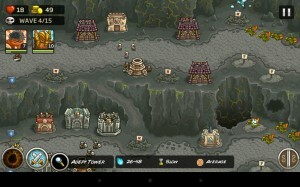 But if you were a fan of Kingdom Rush you’ll easily fall into line blasting enemies with your meteor spell and calling in reinforcements as well as knowing, for the most part, the different tower’s nuances. While I would have liked to see some difference in the powers and more changes in the base towers I can’t fault Ironhide Studios too much as their formula really defined the genre and what isn’t broke don’t fix…right? 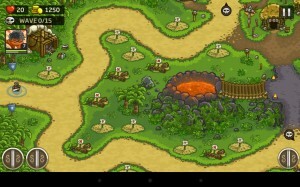 Even the level designs are very Kingdom Rush original reminiscent. although I would say the amount of level environmental factors has increased. By this I mean how in some levels you’ll have a dragon that occasionally wakes up to burn your towers or how in others you can hire drunk pirates to molotov cocktail your enemies for you. These little touches were present in the original but have made a huge comeback in Frontiers that I really appreciate. While above I mentioned that not much has changed (for the most part) I should have mentioned that at least the upgraded towers are upgraded. You start out with your base towers; ranged, magic, melee and artillery; but from there each can be upgraded to eventually split into two directions. For instance you can upgrade your ranged towers into either a crossbow fort or to tribal axe throwers which differs from the original Kingdom Rush upgrades to musketeer garrisons and ranged hideouts. Likewise you can upgrade magic towers to either an archmage tower or necromancer tower, melee to an assassin’s guild or a knights templar and artillery to a DWAARP or a super mech. 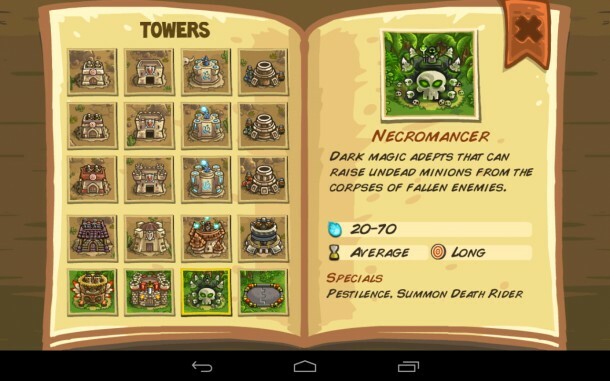 These new towers are pretty awesome and have some vastly different but still similar powers to the towers they replaced. For instance the DWAARP tower causes earthquakes and can cause the ground to burst into flame, the super mech is a mobile tower that shoots cannon balls, the necromancer can summon skeletal soldiers from dead enemies, etc. Even with the new changes I think it would have been awesome to keep all the old towers in addition to the new ones to give a huge variety and more strategy but the dynamics of that would probably have been too much. 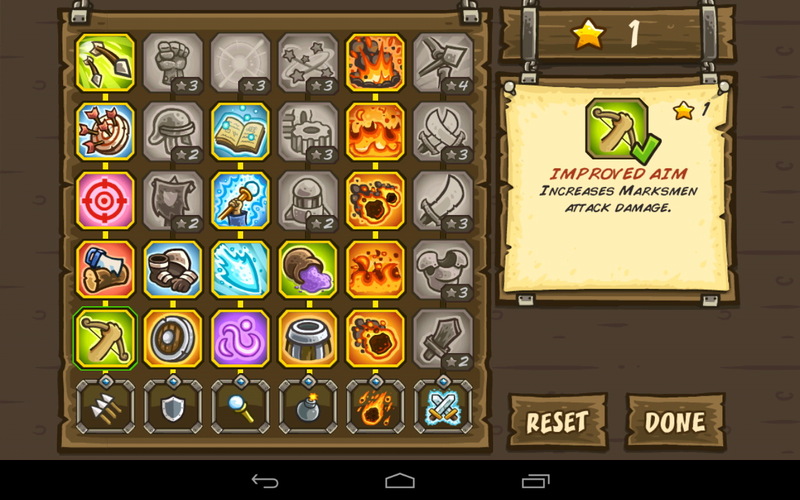 Heroes were originally not in the original Kingdom Rush but added later in an update. Kingdom Rush Frontiers has them right off the bat and they work very similar as before but also have some slight changes. These heroes are mobile units you can place anywhere and have various powers of their own such as summoning beasts to trample enemies or have an increased chance of dodging attacks. The change with these units in Frontiers is that they level up in battle and you can then upgrade them outside of battle to improve their various powers and these upgrades are permanent changes to them. You can unlock three heroes in Kingdom Rush Frontiers with the rest of them being in-app purchases (rather expensive ones at that). However, you can beat the whole game without these extra heroes or even with no heroes at all so it really is just personal preference or if you want an extra edge. Another big change in Kingdom Rush Frontiers is the inclusion of single use items that you purchase with another in game currency called gems. 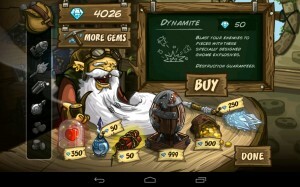 You earn these gems just by battling and killing enemies and can spend them in what is called the Gnome Shop. In this Gnome Shop you can buy items such as dynamite which damages units for 250 damage, frozotov which freezes enemies, a heartbox which gives you an extra five hearts, etc. These items give you a slight boost if you’re having trouble with a level and are single use. I personally never bought any of these items although I can imagine if you’re going for a full three star run you may need to dip into this from time to time. 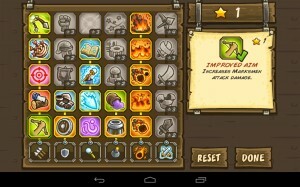 Luckily they aren’t vital and earning gems is fairly easy. 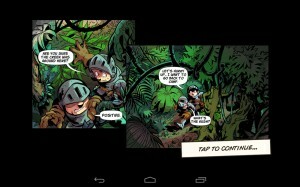 I suppose the big “issue”, if you can call it that, is that Kingdom Rush Frontiers doesn’t seem like a sequel just a large level pack or update. The powers are literally the same, the upgrade system is only slightly different, enemies have different skins but similar powers, towers and heroes were modified slightly but in general Frontiers has no huge changes. 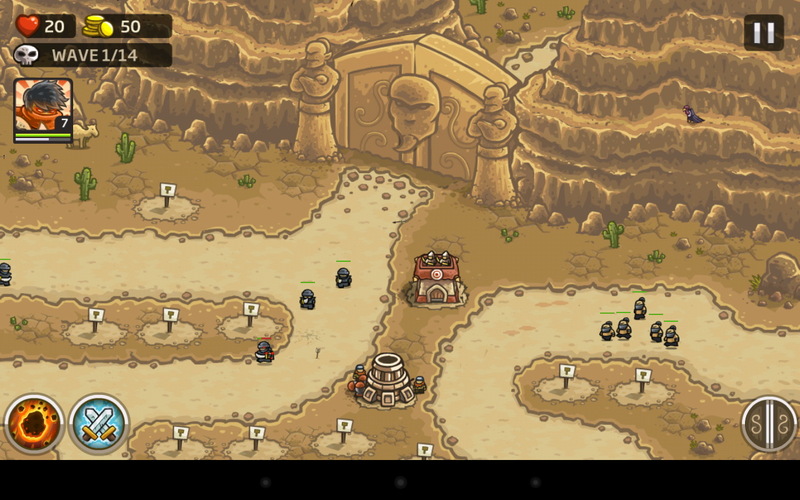 Again, this doesn’t make Kingdom Rush Frontiers a bad game, in fact it is near perfection just like the original Kingdom Rush. The towers work perfectly, the level designs are amazing, the new heroes are also quite good and having more Ironhide Studios inspired gameplay is always a plus. So while Kingdom Rush Frontiers might not be a totally new game, the familiarity is welcome and makes yet another excellent game.